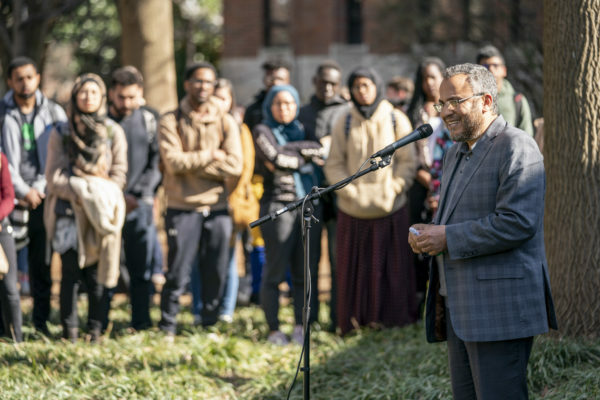 Hundreds of members of the Vanderbilt community gathered near Rand Hall on Monday afternoon to remember the victims of last week’s shootings at the Al Noor and Linwood mosques in Christchurch, New Zealand. 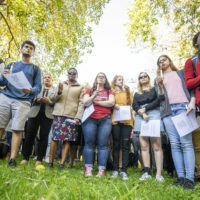 The Muslim Students Association and the Office of the University Chaplain and Religious Life organized the vigil in the wake of the terrorist attacks that killed at least 50 people at two mosques on Friday. 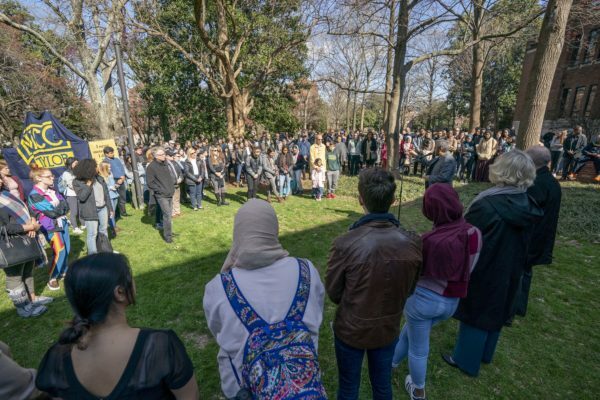 The vigil also included remarks from Vanderbilt Student Government President Tariq Issa, Muslim Students Association President Fayo Abadula, Vanderbilt Interfaith Council Treasurer Ruiy Shah, Dean of Students Mark Bandas, Assistant University Chaplain and Assistant Director of Religious Life Shantell Hinton and Imam Ossama Bahloul, resident scholar of the Islamic Center of Nashville. 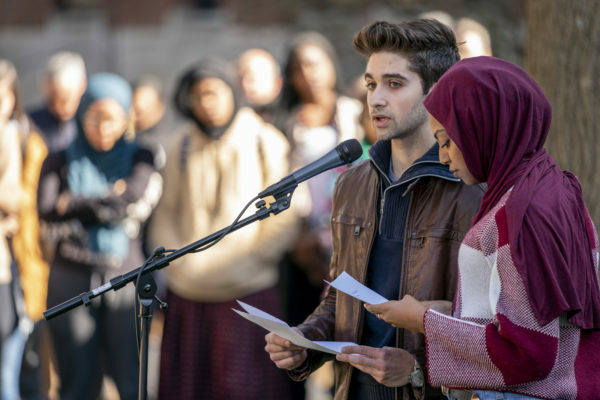 During the vigil, Issa and Abadula read the names of the victims killed at Al Noor and Linwood mosques. 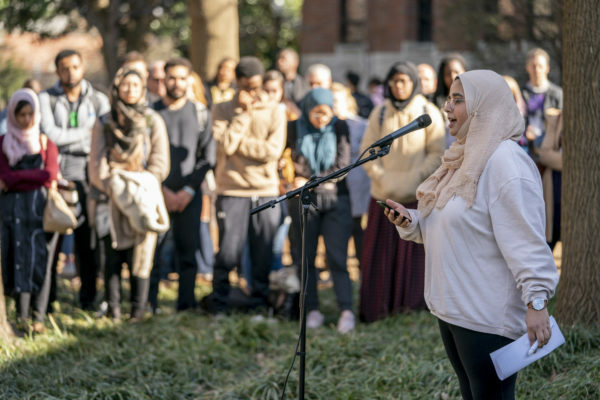 Shun Ahmed, a member of the Muslim Students Association, shared a compelling poem that captured her reaction to the troubling news of Friday’s attacks. 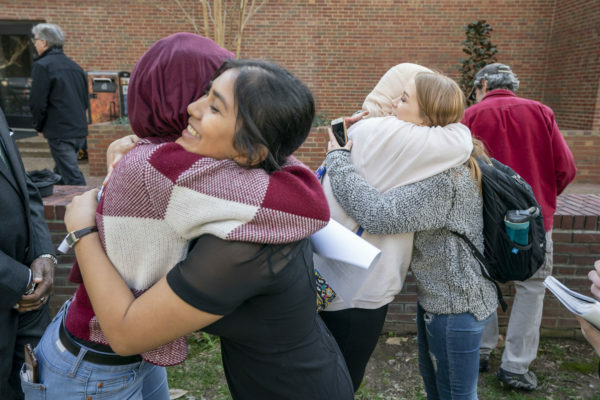 Near the end of the vigil, Shah invited members of the community to the Vanderbilt Interfaith Council meetings to engage with members of different backgrounds, faiths and beliefs in the Vanderbilt community. 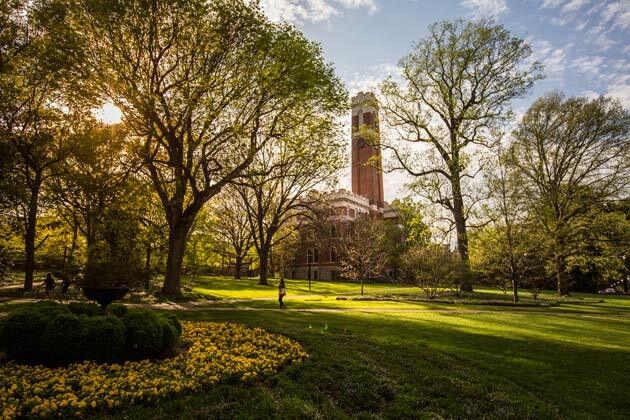 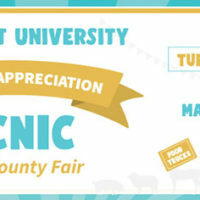 The meetings take place on Thursdays at 6:30 p.m. at the Office of the University Chaplain and Religious Life. 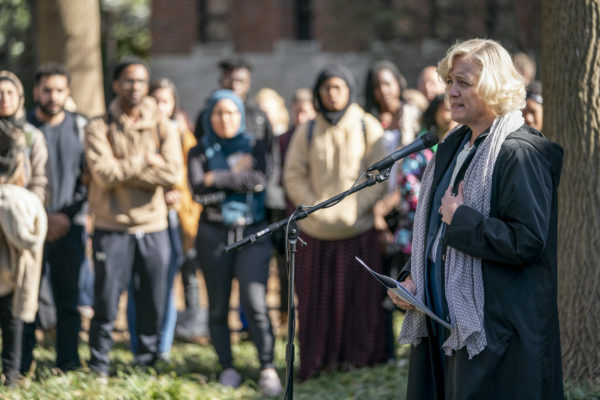 The vigil concluded with Hinton, who led a moment of silence earlier in the gathering, reading a multi-faith prayer in memory of the victims who died in the terrorist attacks. 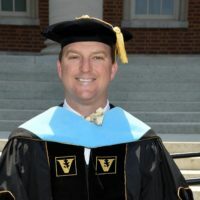 Staff from the Office of the University Chaplain and Religious Life and the University Counseling Center remain available for counseling or conversation.